The White House requires federal agencies to “provide a modern, streamlined, and responsive customer experience across government, comparable to leading private sector organizations.” Unfortunately, results from Forrester’s 2018 US Federal Customer Experience Index (CX Index™) show that federal CX remains weak and uneven. The 15 US federal agencies and programs that we rated in this year’s CX Index earned an average score of 59 out of 100. That score, which is unchanged from the previous two years, falls smack in the middle of the “poor” category and 10 points below the private sector average of 69. Only two organizations — the Department of Veterans Affairs and HealthCare.gov — improved this year, compared with four in 2017 and five in 2016. Scores that are mostly poor or very poor. 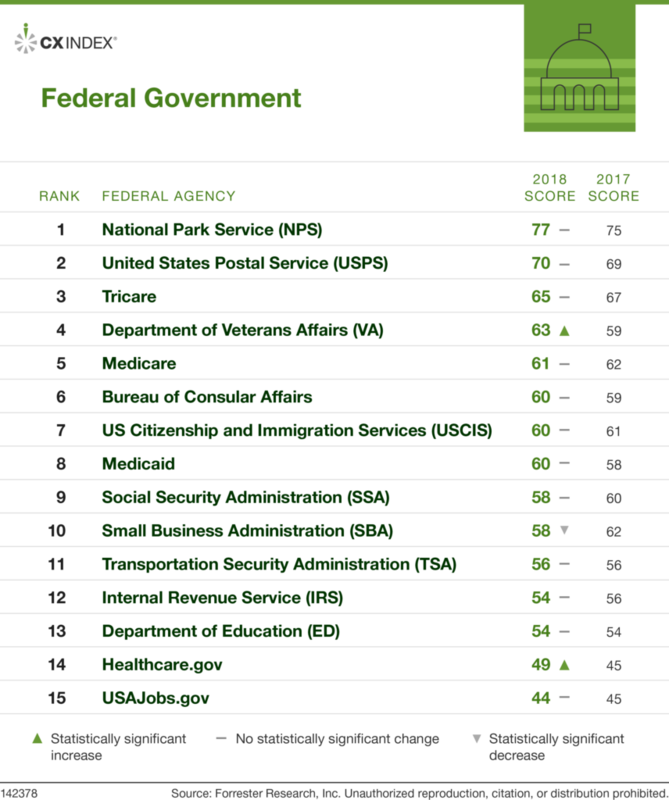 A sobering 80% of federal agencies had scores that fell into the lowest two categories of the CX Index (see second figure). That’s in contrast to the private sector, in which only 20% of brands landed in the bottom two categories. In 12 industries, even the weakest performers outscored the federal average. Uneven quality. The 33-point difference between the scores of the National Park Service (NPS) at the top of the Federal CX Index and USAJOBS.gov at the bottom was 10 points wider than the spread in the most diverse private sector industry — and 20 points wider than the private sector industry average. Two modest gainers and one small loser. HealthCare.gov showed a modest three-point improvement in its CX Index score. That makes it the only federal entity — and one of only two organizations in the entire US CX Index — with three consecutive years of growth. The Department of Veterans Affairs’ methodical CX efforts finally paid off with a four-point gain following two years of stagnation. On the other hand, the Small Business Administration dipped four points, more than erasing a three-point rise in 2017. Comply with directives and advice. For every one-point increase in an agency’s CX Index score, 2% more customers will do what the organization asks of them. As a result of poor federal CX, just 58% of federal customers said that they do what agencies require. Inquire for official information. When a federal agency’s CX Index score rises by one point, 2.5% more customers are likely to seek its authoritative advice or expertise. Unfortunately, weak federal CX motivates a paltry 32% of customers to seek out authoritative information from the federal organizations that they interact with. Apply for optional benefits and services. For each one-point gain in an agency’s CX Index score, 3% more customers are willing to sign up for benefits and services that aren’t mandatory. However, federal CX problems leave only 44% of customers willing to sign up for optional offerings. Speak well of federal agencies. As a federal agency’s CX Index score improves by one point, 4.4% more customers will say positive things about the organization. Regrettably, only 47% of customers are willing to say positive things about their interactions with federal agencies. Trust agencies. Each time a federal agency’s CX Index score rises by one point, 2.8% more customers will trust the organization. Weak federal CX leaves only 40% of customers trusting the agencies that they interact with. Forgive agencies that make mistakes. For every one-point increase in an agency’s CX Index score, 2.7% more customers are willing to forgive the agency when it makes mistakes. However, the current federal experience leaves just 40% of customers willing to forgive agencies for a slip-up. Make processes too difficult. Only 45% of federal customers say that it is easy to go through the process of obtaining benefits, services, or information. That’s a one-percentage-point rise year over year but still only equal to the percentage of airline customers who enjoy the in-flight experience. Struggle with customer service. A mere 46% of federal customers agreed that they could get help quickly when they needed it. That’s a two-percentage-point dip from 2017 that leaves federal customer service one percentage point worse than the service provided by the infamous internet service provider (ISP) industry. Show even less respect for customers than they used to. Just 46% of federal customers say that they feel respected — a nine-percentage-point drop year over year. As a result, federal customers now feel that they are respected equally by federal agencies and health insurers. Federal agencies that want to improve their CX quickly and efficiently must ground their efforts in driver analysis and prioritize parts of the experience that will contribute the most to mission success. 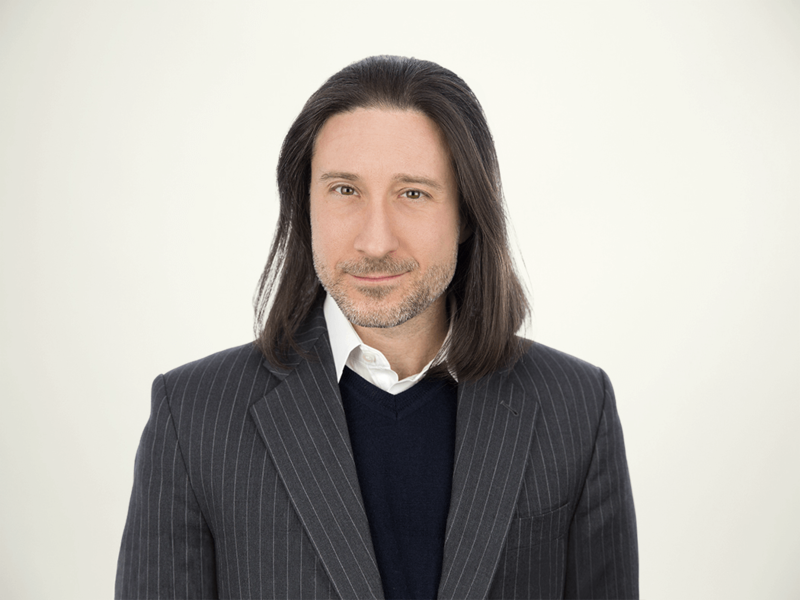 Forrester’s CX Index can help because it’s more than just a score: It’s a framework that measures how agencies perform on 47 drivers of CX and pinpoints the handful of drivers that, when improved, will boost mission performance the most. 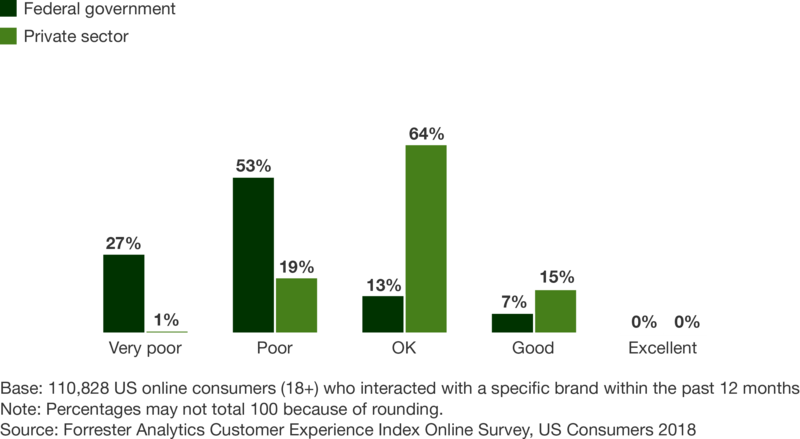 To learn more about the specific drivers of a great customer experience for your agency and how Forrester can help you reap the benefits of this insight, send an email with your questions to customerexperience@forrester.com.